New Delhi: Visually impaired voters will be provided with braille voter slips in the Lok Sabha elections due this summer. 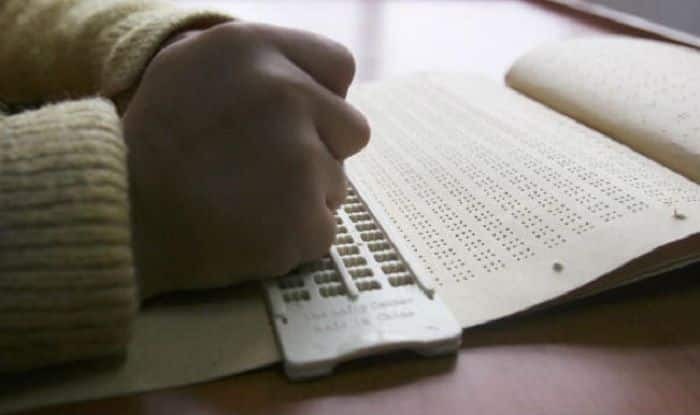 Braille is a script with raised dots that can be read with the fingers by people who are blind or who have low vision. As part of its strategic framework for ‘accessible elections’, the commission has told all chief electoral officers to issue accessible photo voter slips with braille to voters who are visually impaired or blind. The braille enabled slips were used in the recently held assembly elections also. Electronic voting machines already have the braille feature. The ballot paper pasted on the machine with name and symbol of candidates is braille enabled. The Election Commission also plans to provide braille election photo identity cards to visually challenged voters across the country.